Thank you, Mominette for sponsoring this post. 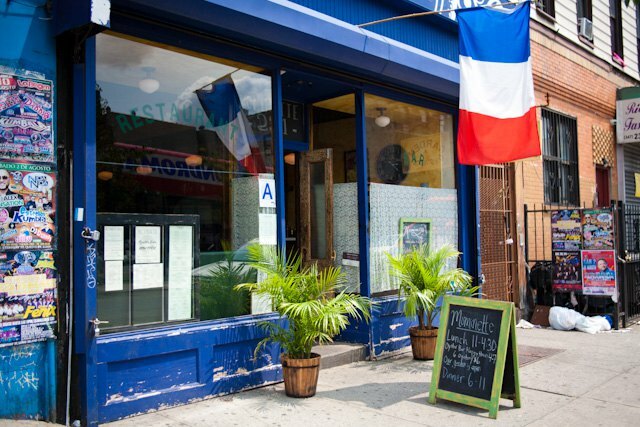 Everyone's favorite French-Bushwick Bistro, Mominette, wants you know about all the fantastic events and specials they have lined up for every day of the week. From oysters to live music, bottomless brunches and movies in the gorgeous backyard, you always have a reason to visit this wonderful restaurant on Knickerbocker Ave in Bushwick. Enjoy $1 oysters all day and night at Mominette! 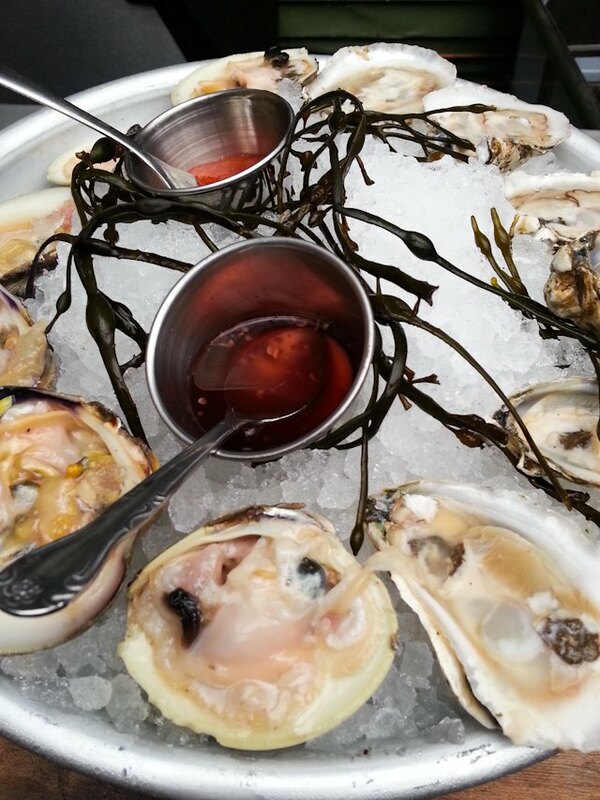 Served on a soft bed of ice and accompanied by a housemade cocktail sauce and a mignonette sauce, Dollar Oyster Mondays can't be missed! 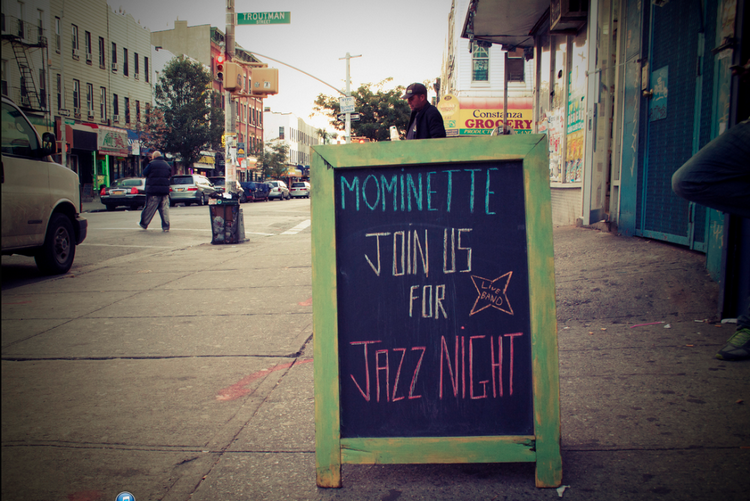 Have a jazzy-crazy good time at Mominette on Tuesday Jazz Night starting at 9PM. Featuring $6 cocktail specials and $5 house wine. Starts at 9PM. Bossa Nova rhythms go well with $20 all you can eat mussels and all beers for $5. The special starts at 9PM. It's Vous la femmes (Ladies Night) at Mominette! Ladies get half price drinks from 10PM to 2AM. And of course you'll be getting your groove on with live R&B. Fondue is the perfect dish to share with the group of your closest friends. Bring them to Mominette for a dose of laughter and cheese! Early birds and latecomers rejoice! Come to Mominette during off-peak hours (10:30AM - 12PM & 4:00PM - 5:30PM) for the $15 Bottomless Brunch with Bloody Marys and Mimosas. 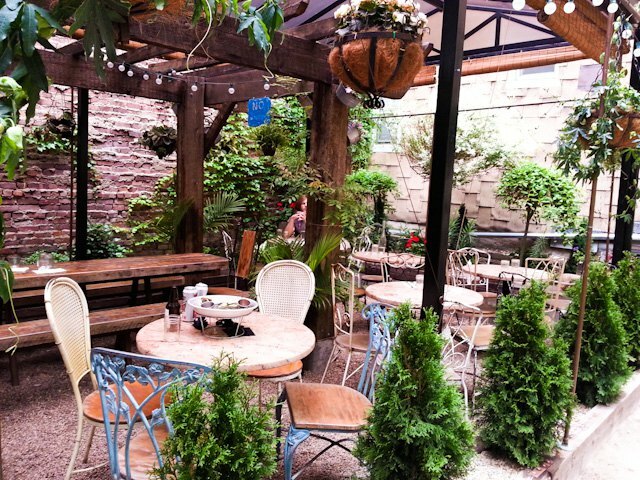 Finish your weekend off right with the Movie Night in the gorgeous garden at Mominette. Showing classic French films, with $10 off wine bottles and $1 oysters all night. Oyster menu featuring cheese plates, french salads, shrimp cocktail, crudo are available every day from 4 to 7pm. Mominette, 221 Knickerbocker Ave, Bushwick, open daily from 11am to 2pm.